Martin and the rest of the chaps from the BBB are absolute gents. The communication and attention to detail leading up to our wedding, including their accommodation for any specific requests we might have, was second to none. It was a real pleasure to have them at our wedding and I remain exceedingly grateful for all their work. Everybody said they were fantastic and they really did set the tone for, what was, a superb day. Thank you once again chaps and Bravo! 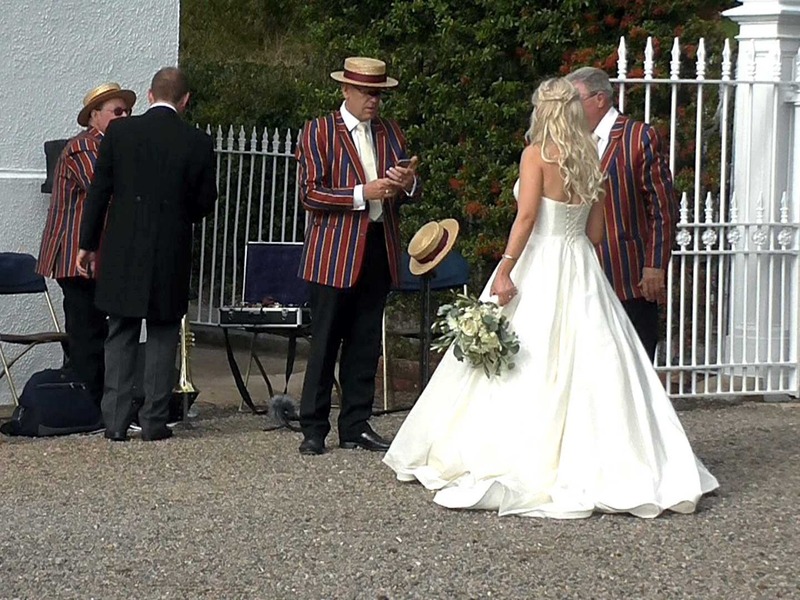 They really complemented our very special wedding day, we were lucky with the weather and they were able to setup outside on the lawn at our fabulous venue, they helped make our perfect day. I had a lot of comments from our guests say what a nice band and how they were so appropriate for us. I enjoyed talking to Martin, what a nice chap, and they played all the tunes from our list. Thank you from us both. 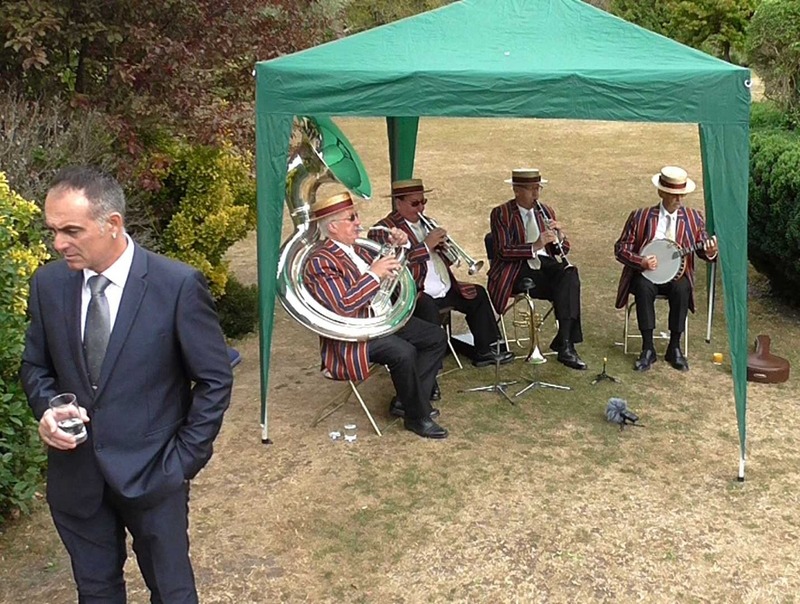 Last Sunday, the weather was glorious (we were so lucky) and the band turned up in good time and were very pleasant. We 'watered' them and they waited patiently for everyone to arrive. We loved them, as did our guests and they epitomised the spirit of the day. The guys said they really enjoyed the 'gig' and they played for longer than they should have. I will not hesitate in recommending the band and Alive Network to others. We just wanted to get in touch to say a big thank you to the band for being so brilliant on Saturday! You were absolutely great and created the perfect atmosphere for our wedding. I really wanted to thank you on the day but it was all a bit of a whirlwind! Thanks again and very best wishes for the future. Burgundy Boater Band were excellent. 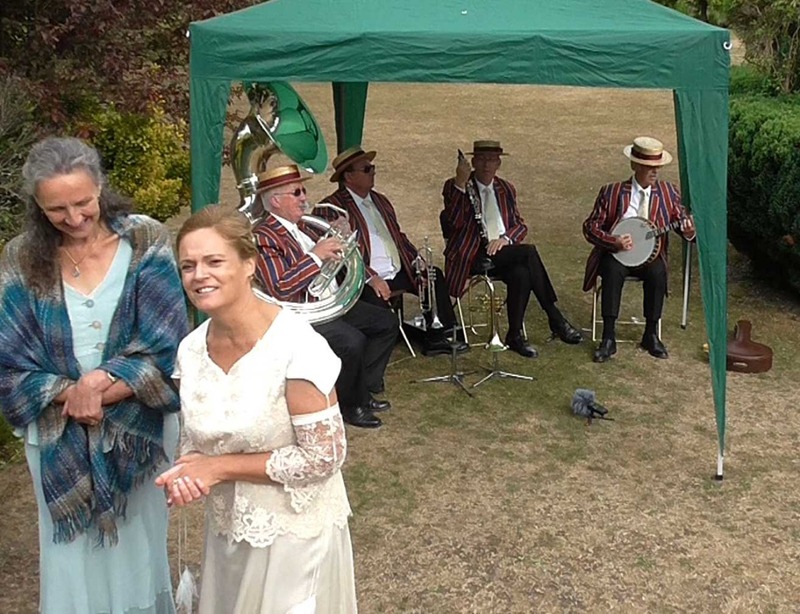 I wanted a surprise jazz performance for my wife's birthday, and because there is no set up (electrics etc) they commenced their performance by playing as they walked into the garden. The impact was stunning for all the guests, excellent outcome. 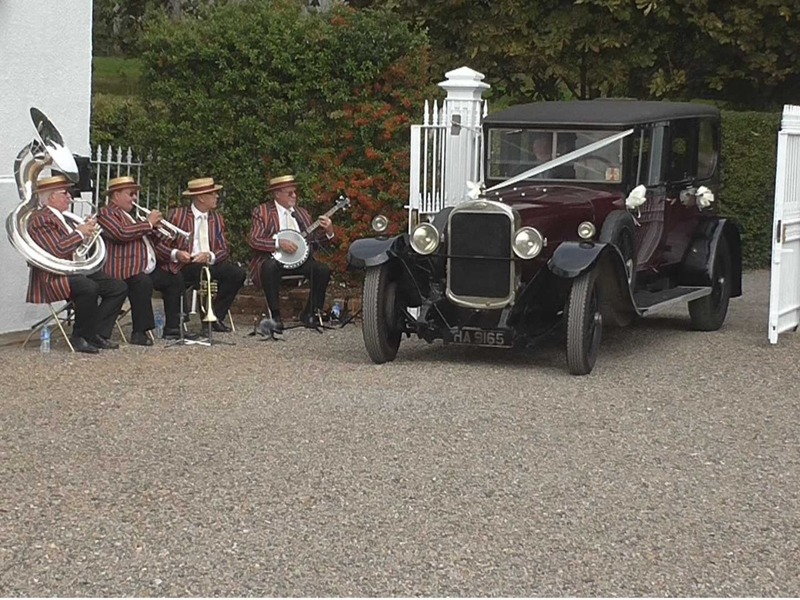 Burgundy Boater Band were just fantastic! They arrived in lots of time, played the best music ever for our age group and I would be happy to recommend them to any of your future clients. Your own web site and follow up for the booking were first class. Happy with everything you did for us. Here’s to the next time. Thanks a million! !